KBB had a double day of giving back to the community recently. Friday 22 April was a full day of activities in recognition of Earth Day, and Saturday 23 April was KBB’s annual Island-wide Spring Clean. On Friday 22 April in celebration of Earth Day, seventy international cast members from Up with People took to the city streets to do a KBB litter cleanup, enjoy a picnic lunch in Victoria Park and then do a mini performance on the steps at City Hall for a crowd of about 300 people. This was a free event offered to everyone after work on Friday and included an Earth Day proclamation by the Minister of Health, Seniors and Environment, Jeanne Atherden, along with the Mayor of the City of Hamilton, the Rt. Wor. Charles Gosling. Environmental exhibitors were also on hand to help recognize Earth Day in Bermuda. Natasha Butterfield and family members take on the task of clearing the old site of the Hands of Love charity which has moved to a new location. This is the Railway Trail building at Camp Hill. Youngster Nora Ferris is mesmerized by the Up with People performance on the steps of City Hall to mark Earth Day. 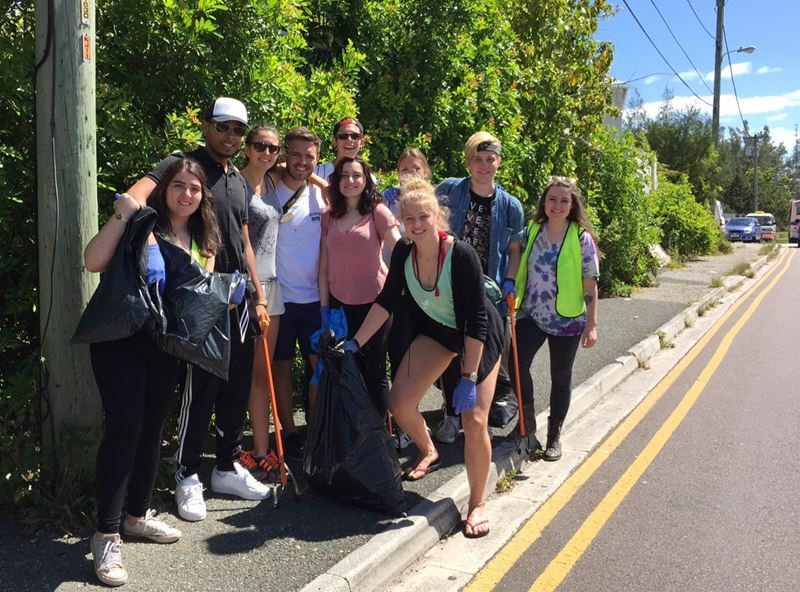 Starting from the BMDS Dayleford Theatre parking lot, KBB led four teams of Up with People volunteers into four different quadrants of the City to perform a 3-hour litter cleanup of the city streets. The plan had each group going north, west, south and east to reach a park and have a refreshment break and then work their way back to Victoria Park. One group went as far as Fort Hamilton and the volunteers were treated to the beautiful vista overlooking the City. 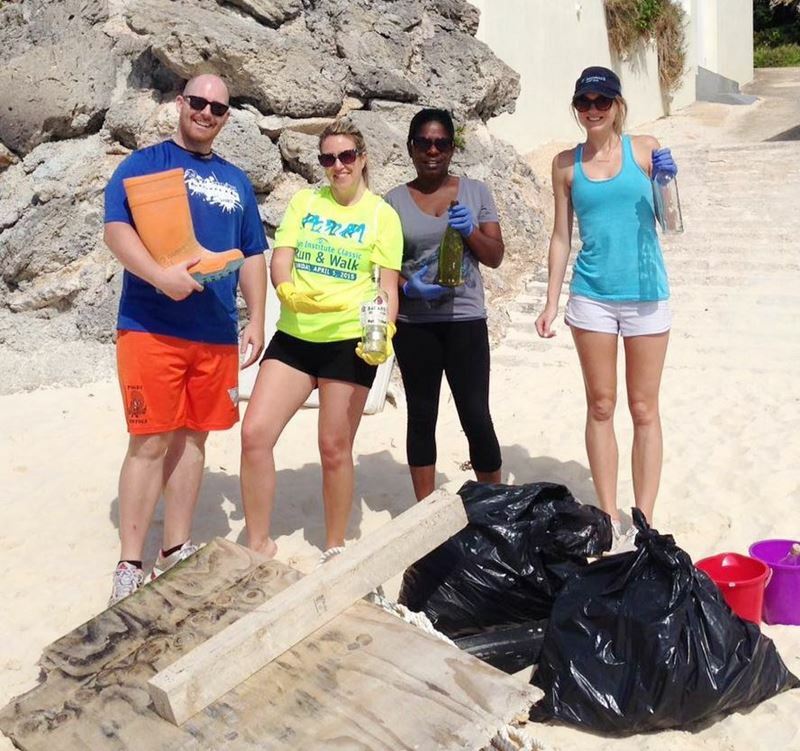 Angela Hale and friends tackled the trash at Grape Bay beach in Paget and find an assortment of boots and bottles along with picnic trash and ocean debris that has washed ashore. 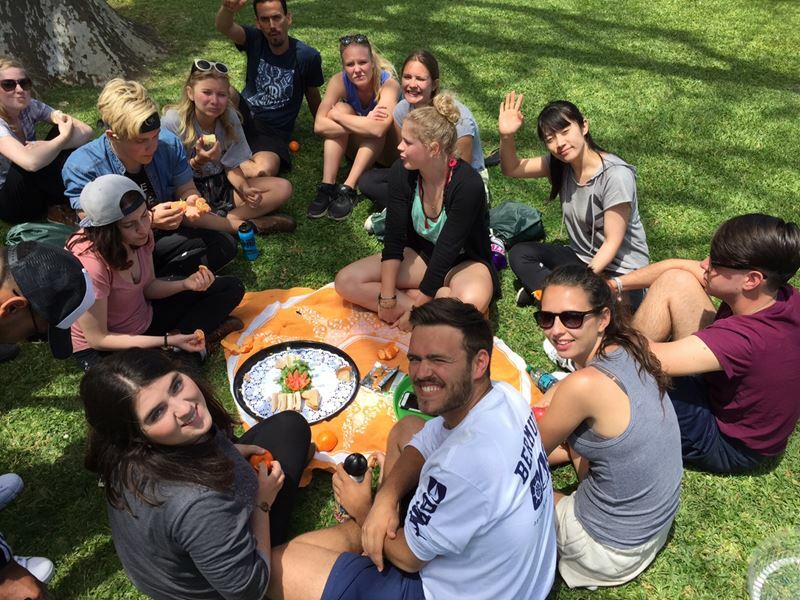 All groups worked their way back to Victoria Park in time for a picnic lunch. KBB is grateful to the Marketplace for donating trays of sandwiches. Following a brief respite from work, the multicultural cast got busy rehearsing on the City Hall steps for the free performance which took place after work. 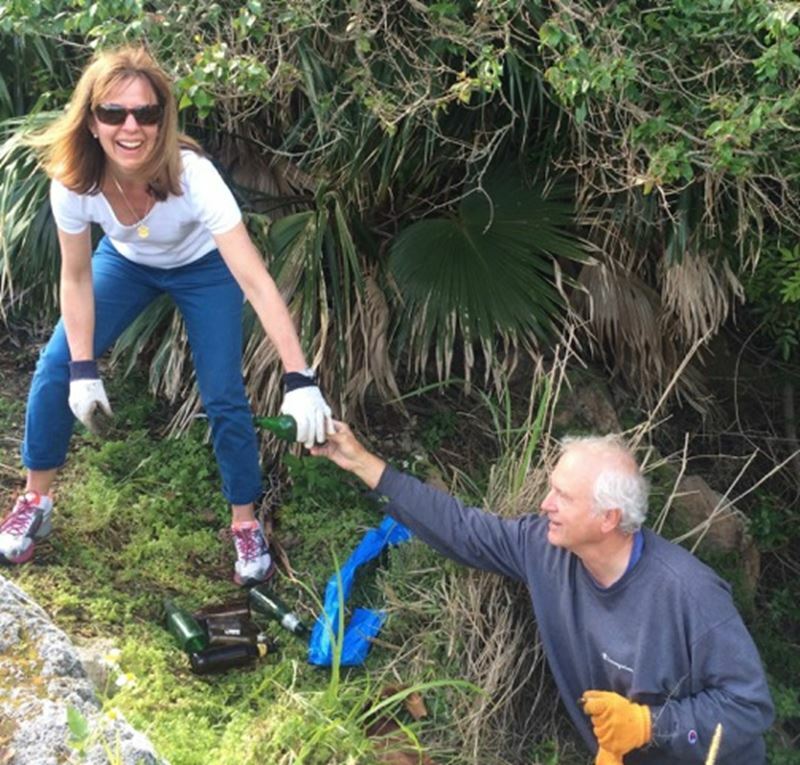 It takes teamwork in Hamilton Parish as this pair work together to clean up during KBB’s Spring Clean and the Hamilton Parish residents participate each year through the organizing efforts of Richard and Mary Winchell. The Earth Day event at City Hall steps and lawn was a free event open to the public from 5 – 7 pm. Approximately 300 spectators gathered to enjoy an Earth Day proclamation read out by the Minister of Health, Seniors and Environment, the Hon. Jeanne Atherden. The Mayor Hamilton acted as the host and the Town Crier was the master of ceremony. 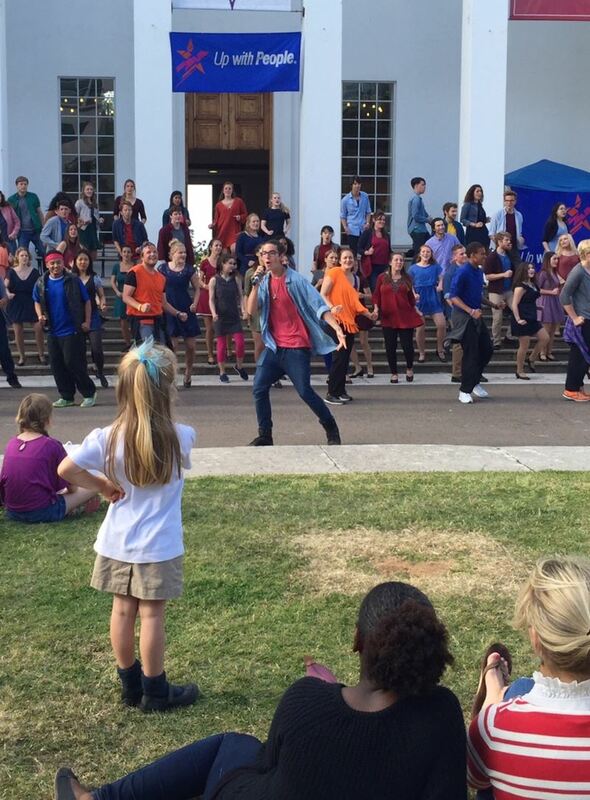 Up with People did a free 25-minute mini performance on the City Hall steps which was enjoyed by all. 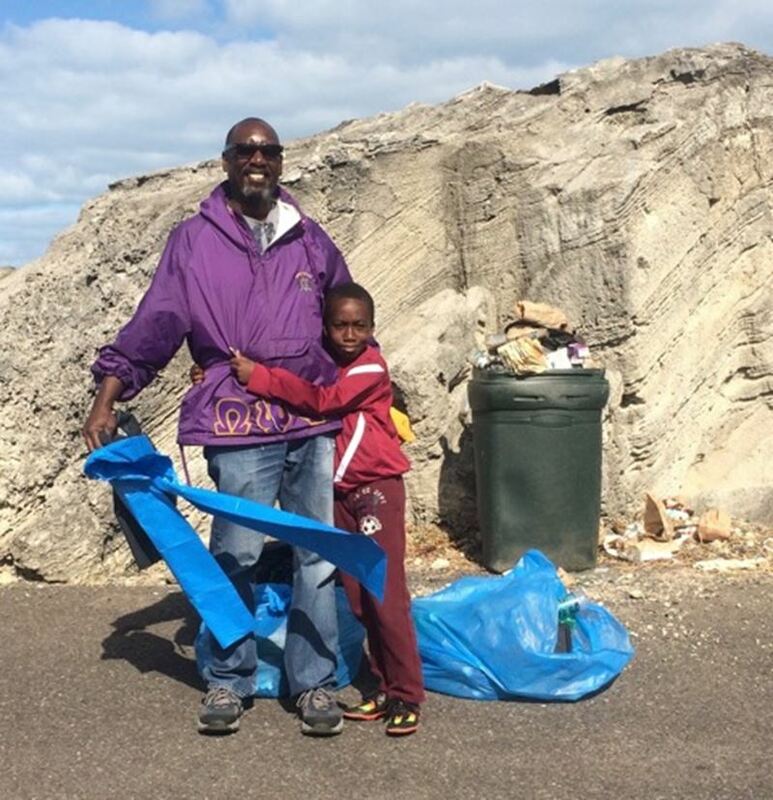 A father and son team work along Coney Island Road past the Bailey’s Bay Cricket Club and the site of recurring littering which the Club officials are interested in addressing. Up with People are celebrating their 50th anniversary with a total cast of 100 young people who represent twenty-one countries. They do community service work in every country they visit on their tour. 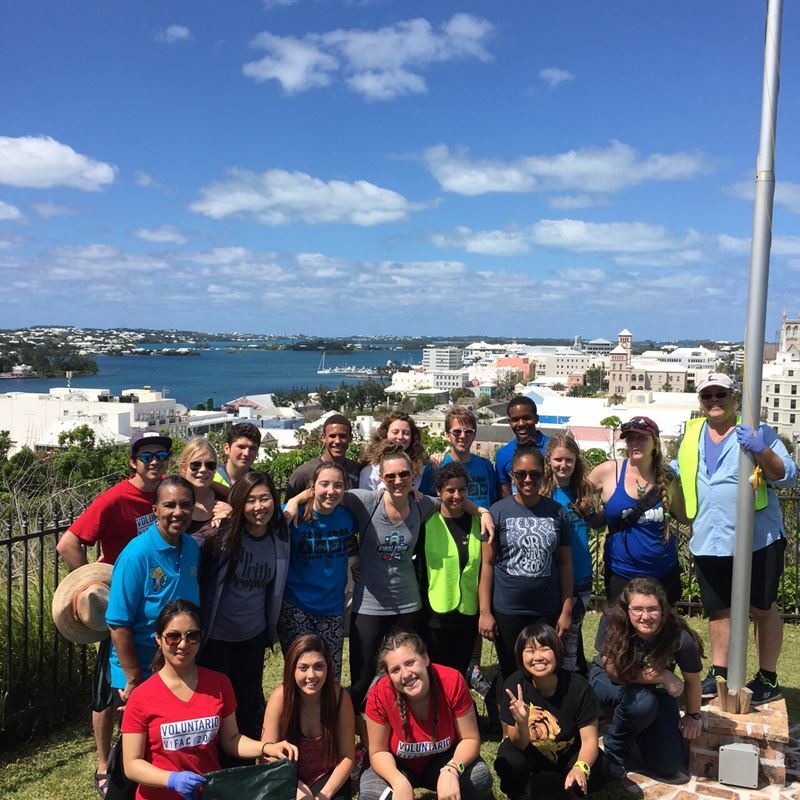 While in Bermuda they have completed a full schedule of daily community service projects with numerous Bermuda charities. Exhibitors and vendors who participated in the event were Be Solar, BEST, Greenrock, Waste Management, Mr. Organic, Ashley’s Lemonade and Scoops N Cones. KBB passed out trash and recycling bags to anybody who wished to join KBB’s Spring Clean which was scheduled for the next day. 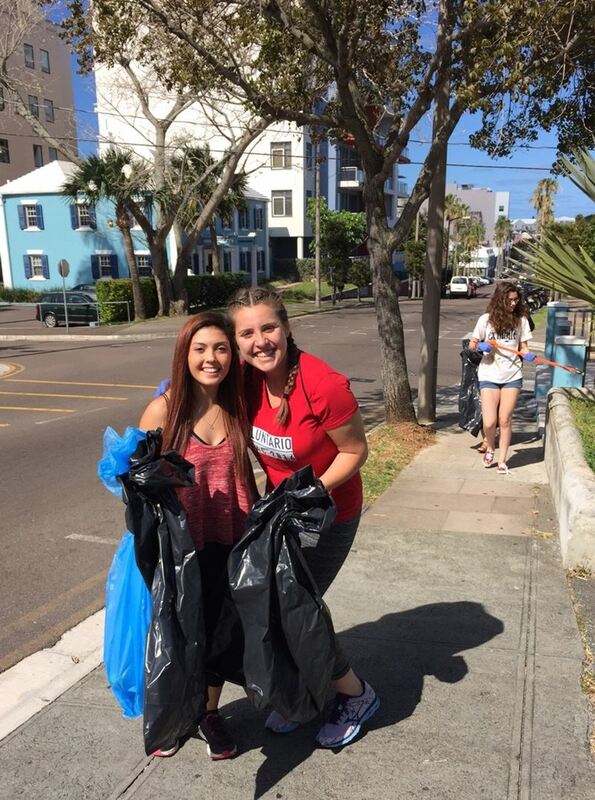 Cast members of Up with People spent the morning cleaning up city street covering four quadrants of the City. 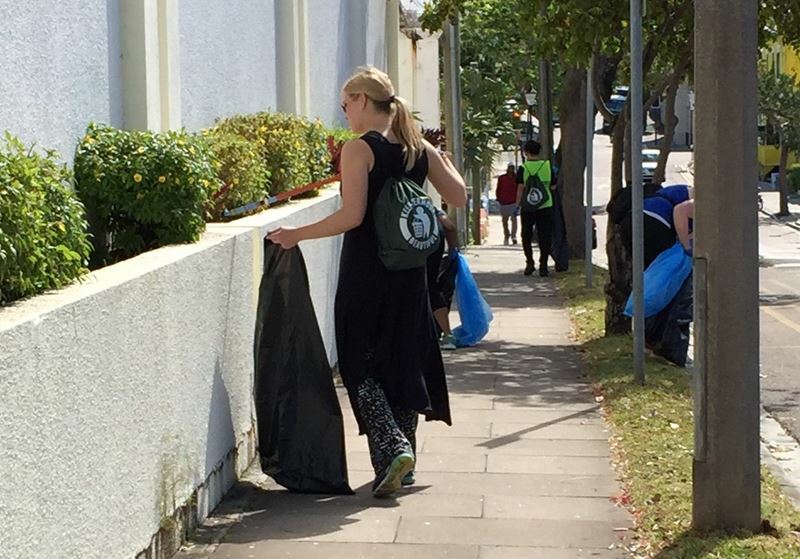 On Saturday, 23 April volunteers across the Island joined KBB’s Spring Clean. 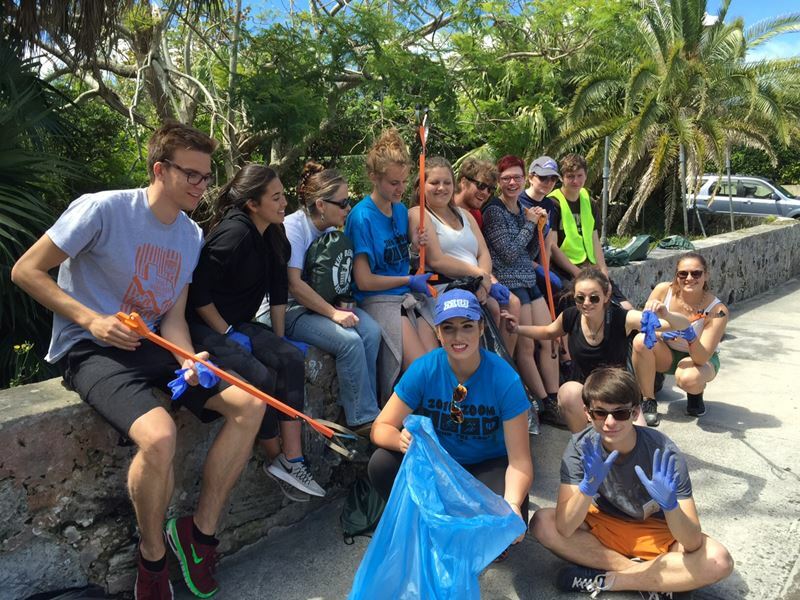 14 tons of litter and debris were picked up by teams in 30 locations. Included in the cleanup were a large number of Hamilton Parish residents organized by Richard and Mary Winchell who covered almost a dozen locations. Also participating on the day was Natasha Butterfield and her family who cleaned up the old Railway building at Camp Hill. One team headed to Parsons Road Playground picking up litter along the way. This was the former site of the Hands of Love charity shop. The shop has moved to a new location, however the old accumulation of bags of clothes and additional dumped items were still there and needed to be cleared away. Several trucks owned by Mr. Butterfield along with one of the Hustle Trucks were on hand to assist with clearing the Camp Hill site. 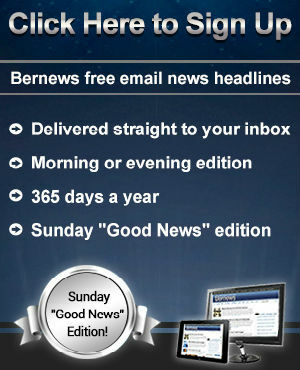 Other teams included Saltus Grammar School students and parents at John Smiths Bay, the Bermuda Chapter of International Internal Auditors at Bulkhead Drive and the Warwick Railway Trail, the Eastern CAT Police Team with Clearwater Middle School students along St. David’s Road and Chubb employees on Glebe Road. A picnic lunch in Victoria Park underneath the shade trees was very welcomed by the UWP volunteers. 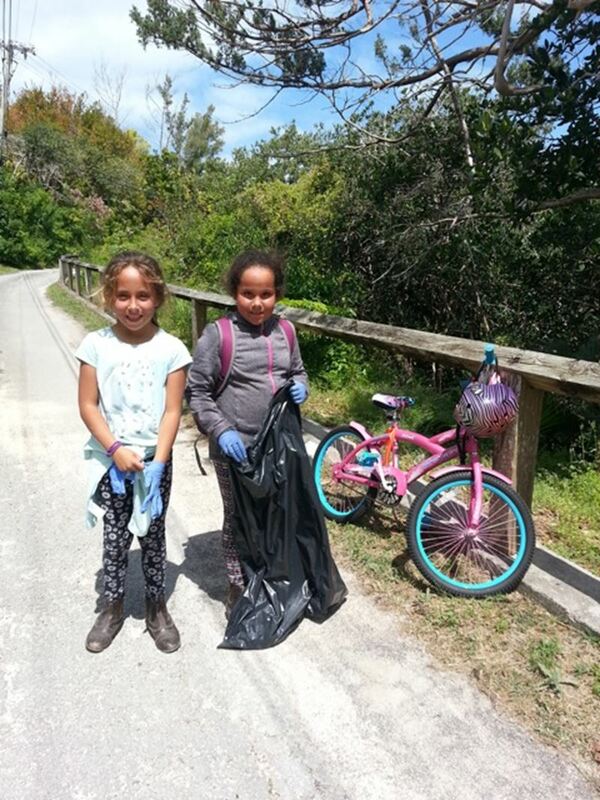 A team from St. Georges led by Leonette Georges cleaned up along the Kindley Field Road at the airport, and friends of Angela Hales were cleaning up along Grape Bay beach. Families and neighbours got together on Mangrove Bay Road, Wreck Road, Whale Bay Road, Vesey Street, Harrington Sound Road, Fractious Street, Bay Corner, Coney Island Road and Blue Hole Hill. KBB supports all groups by handing out supplies of donated trash and recycling bags which have been donated to KBB by BGA and Butterfield & Vallis. One team found so many cigarette butts and bottles which took so much time to cleanup, they never made it to the intended Barrs Bay Park and instead they stopped for their break on the sidewalk. 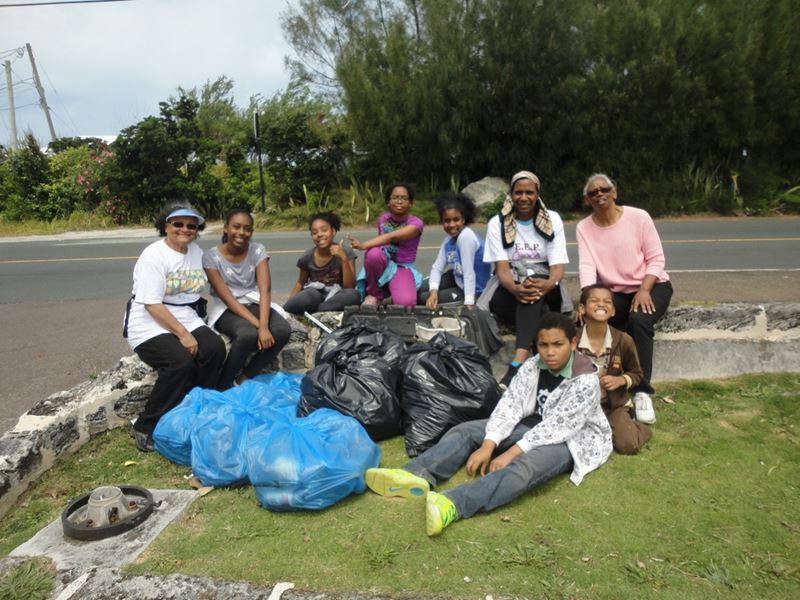 Members of Midland Heights SDA church did a thorough cleanup near the Shelly Bay Plaza. These two youngsters, Tegan and Kenya, lend a hand on Wreck Road proving that learning to volunteer can start at any age. 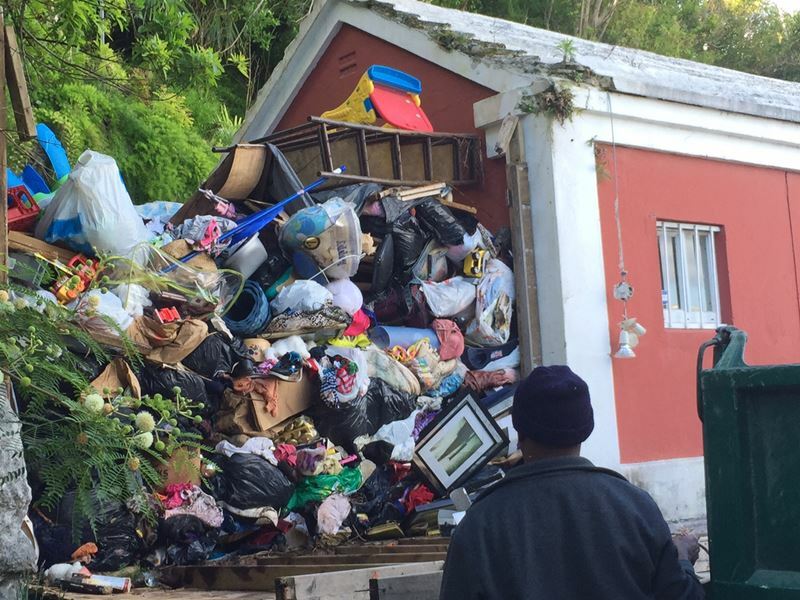 Thank you all for your time and efforts in keeping Bermuda clean. A shame that it’s even necessary. If the dirty people just picked up after themselves, we would not need the good people (like you) to spend their personal time to do it. As for Hands of love – IDIOTS PLEASE STOP DUMPING THERE. There are signs clearly stating DO NOT DUMP, and that hands of love have moved locations. How is it that you 1) don’t see the signs 2) don’t think that piling your stuff on top of other stuff that obviously has been there for ages is ok??? You are selfish and ignorant and I really wish that they had cameras up to catch you. Forget about the fines. Make you do community service and pick up trash in the blistering heat. Bet you would think twice before dumping the next time.